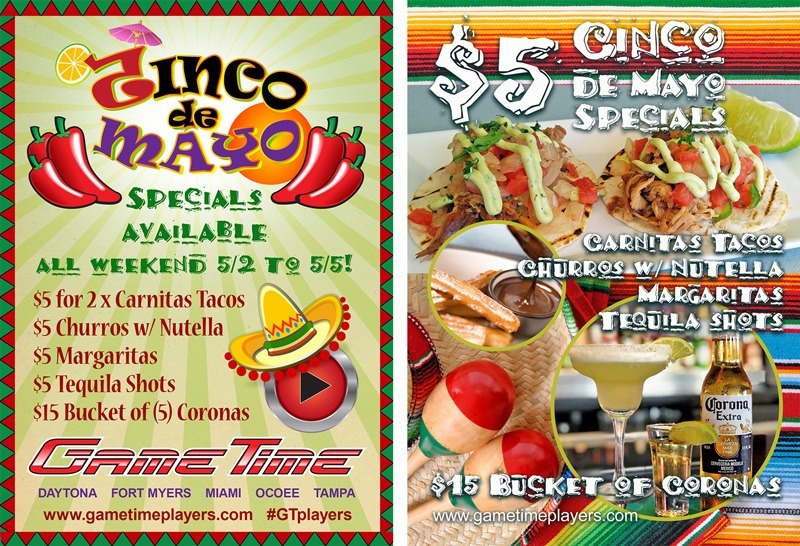 $5 Specials All Weekend (5/2 – 5/5) for Cinco de Mayo! Click below for more details regarding a GameTime near you. Watch It! Play It! Win It! It’s GameTime!